Dark Void is the second announcement for POTN 2018. 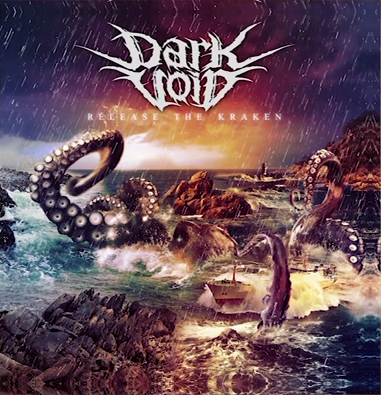 Dark Void were formed by Andreas Tryfonos, Christos Papadopoulos, Giorgos Hajistilis and Panayiotis Soteriou in the summer of 2013. In the summer of 2014, Trifun and Phillipos joined the band, after Giorgos left the band for personal reasons. After supporting the mighty Sepultura in June 2014, the band got in the studio in July 2014 and recorded a 6-track EP called “Release the Kraken”. After recording, several live performances took place all over Cyprus. In November the band supported Q5. The EP was released on April 3rd.